Clarissa Hughes is the CEO and founder of The Little Breathing Space a mindfulness coaching business. She has a passion for empowering women to remove the stress and overwhelming feelings out of their lives Supporting them to navigate the demands of modern life skilfully. And helping them to develop a higher capacity to feel clear-headed, confident and thriving in a life that reflects their purpose. Clarissa been a senior manager in large corporations in the UK and Asia over 28 years. She suffered a burnout due to stress and found her way back to a calmer, more connected life through mindfulness. Clarissa is an accredited Breathworks Mindfulness practitioner, iRest Yoga Nidra teacher and has experience and an academic background in human behaviour. 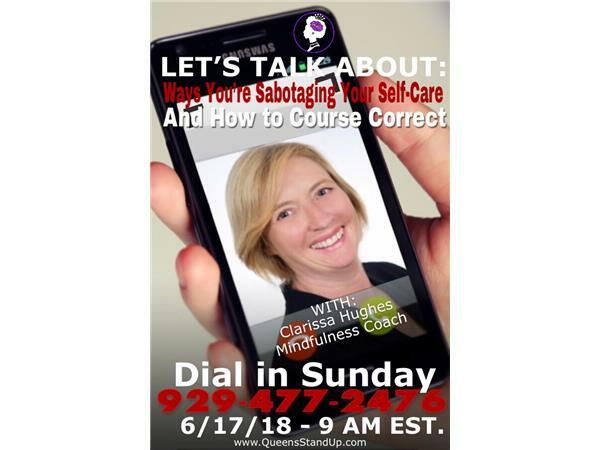 She has been key note speaker at women’s leadership conference and appeared in articles, podcasts, and radio interviews internationally talking all things mindfulness. Clarissa believes that mindfulness is more than daily meditation - it is a way of living with compassionate self-awareness so that we can truly thrive.